This is an amazing crunchy bread that will make your burger cravings go away. 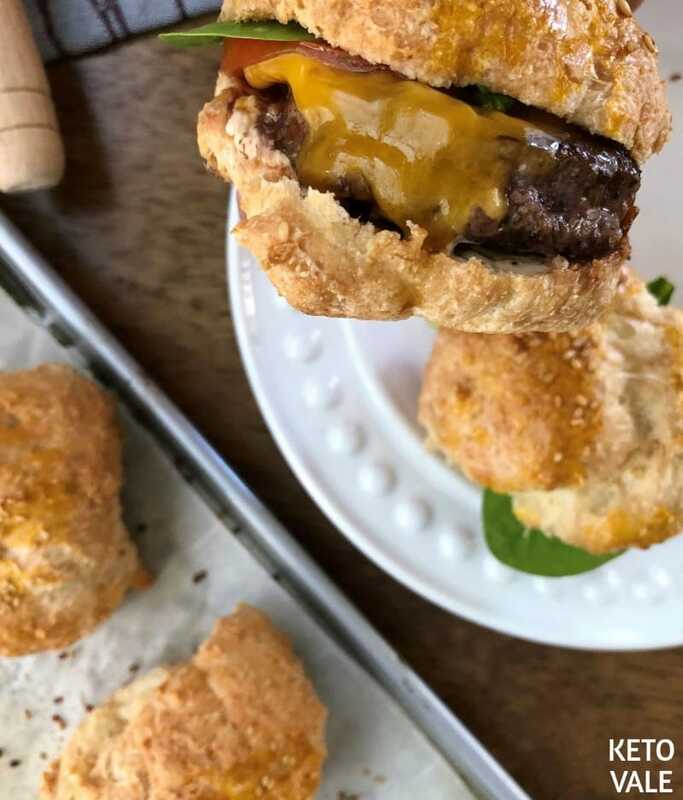 Nothing like a delicious bread to make the perfect low carb hamburger and this recipe will hit the spot. 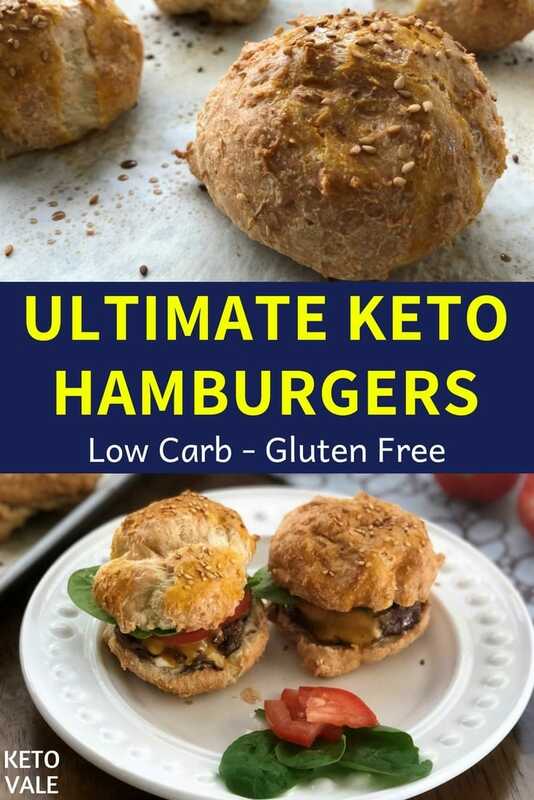 Easy to make and delicious this will soon be your #1 go-to keto burger recipe. The trick is not to add too much water but just enough that will allow you to shape the rolls. Depending on your situation, you might need to adjust the water slightly. I recommend adding the water little at the time in the end so you can control the end result. It is recommended to cool the dough for a little while in the fridge just to make it easier to mold, and I used a trick spraying my hands with coconut oil to ensure nothing would stick while shaping the buns. 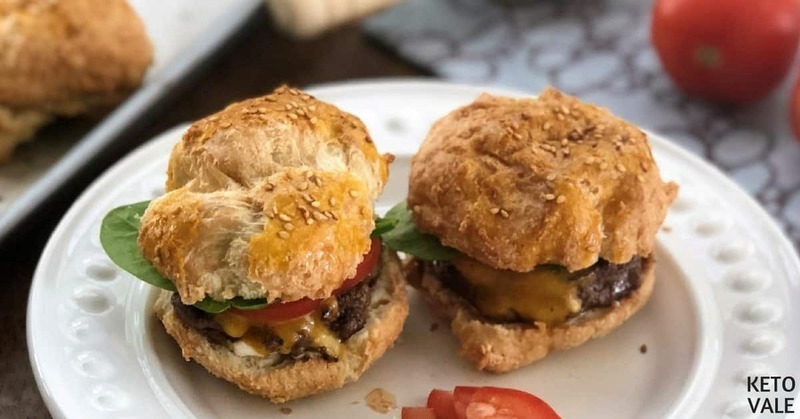 The hamburger bun recipe below is enough for 4 large size buns, 6 medium, or 8 sliders. You can shape it into hot dog buns or even bigger for a sub-style sandwiches. We use Xanthan Gum in this bread. It is a plant-based thickening/stabilizing agent to imitate gluten when using gluten-free flour. Depending on the brands, for example, 1 tablespoon of Anthony’s Xanthan Gum has 30 calories, 7g carbs, 7g fiber and 1 g protein. You don’t need a lot of Xanthan Gum for thickening sauces or gravies or when making smoothies. Normally, you only need to use about ¼ – ½ teaspoon for these recipes. 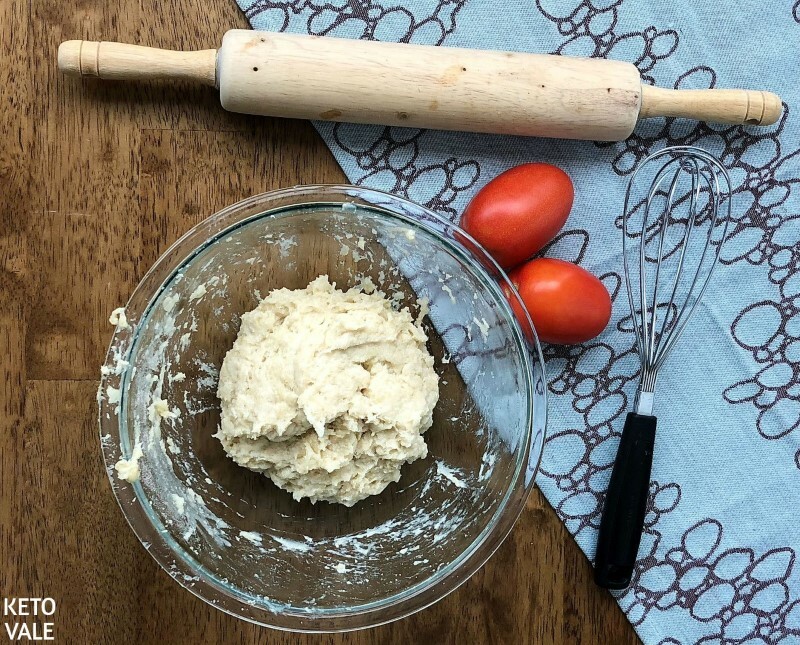 But when it comes to making gluten-free bread or pizza crust using almond flour, we find that you need to use more xanthan gum to make it work. This bread recipe needs 3 tablespoons of xanthan gum. We tested with 1 and 2 tbsp and it didn’t turn out very well. 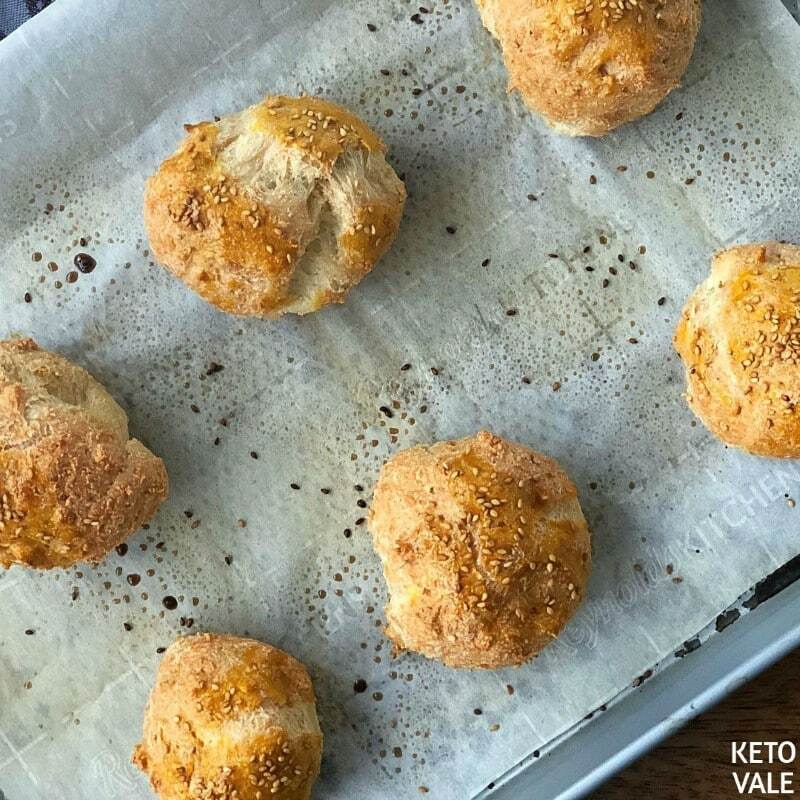 If you don’t want to use Xanthan Gum for whatever reason, you can try psyllium husk powder, such as this low carb bread recipe. The fillings we used in this hamburger are beef patties, cheddar cheese, tomato slices, spinach and mayo sauce. 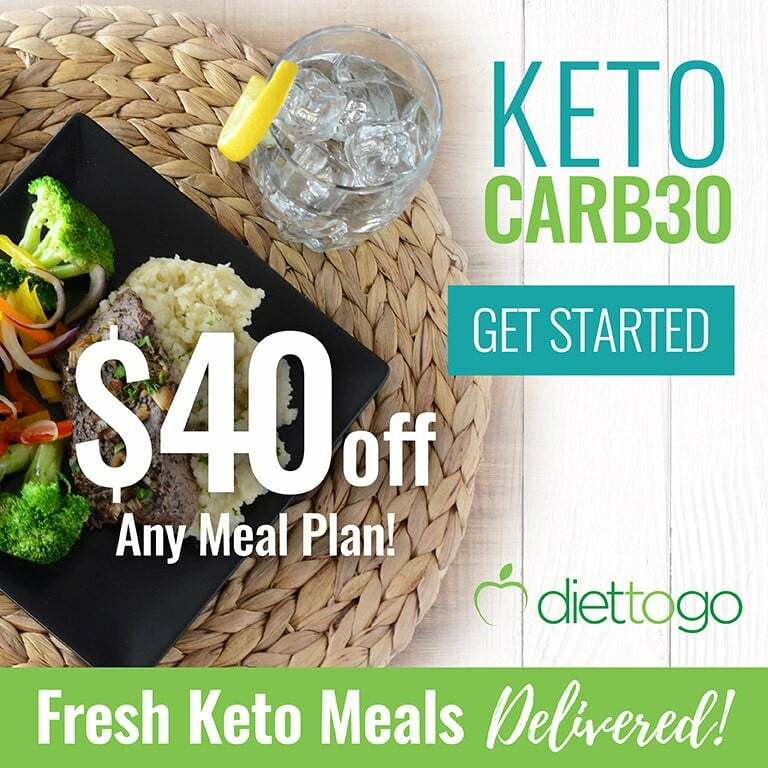 When buying beef patties, make sure it’s high quality and keto-friendly, look for the ingredients to make sure it doesn’t contain flour, artificial sweetener, sugar, or anything that doesn’t belong to the keto friendly foods list. If you want to be safe, make your own burger meat. A simple way is to use ground beef (ideally grass-fed) and season it with a little bit of mustard, garlic powder, onion powder, salt, and pepper. In a bowl, mix almond flour, baking powder, xanthan gum, and salt. Add the vinegar, hot water, and egg whites to that same bowl. Mix with either your hands or your mixer until well combined. Cool the mixture in the refrigerator for half an hour. Spray your hands with coconut oil and mold dough into four or six pieces of bread. You can also use this recipe to make other buns. 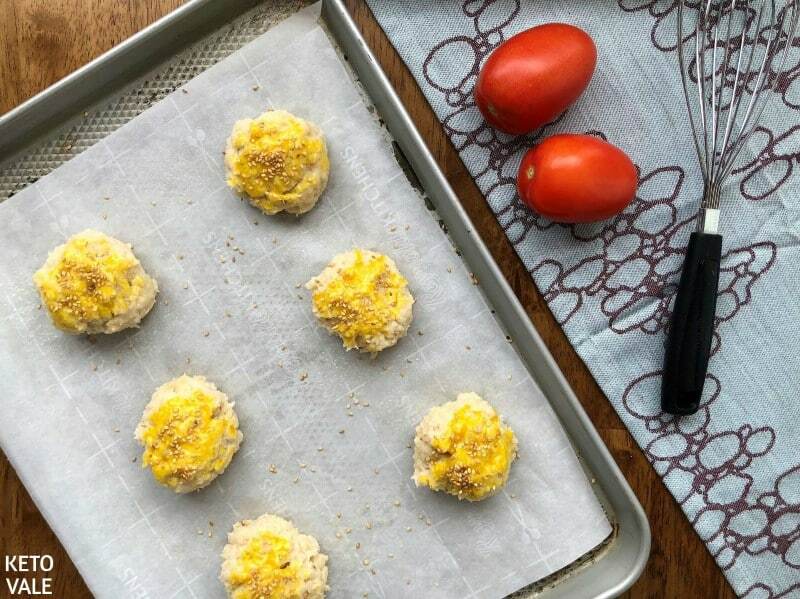 Place each piece on a greased baking sheet, brush them with the egg yolk, and sprinkle sesame seeds across them. Bake your bread on the lower rack for 50-60 minutes, varying by which type of bun you choose to make. Keep checking to make sure the bread doesn’t burn, but make sure it is cooked all the way through. Serve with your favorite burger condiments! 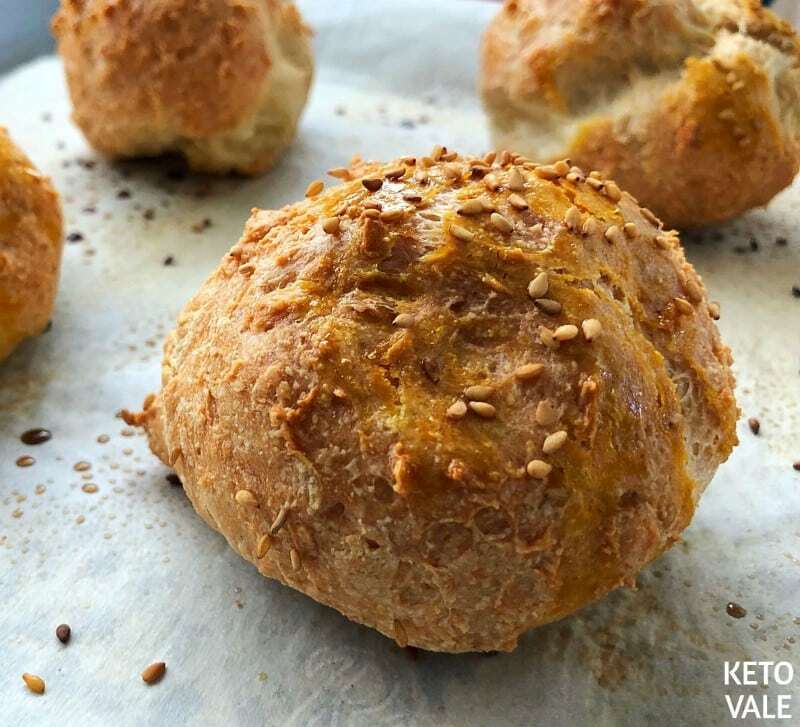 Try and it will be your new to go bun recipe. Preheat the oven to 300°F. 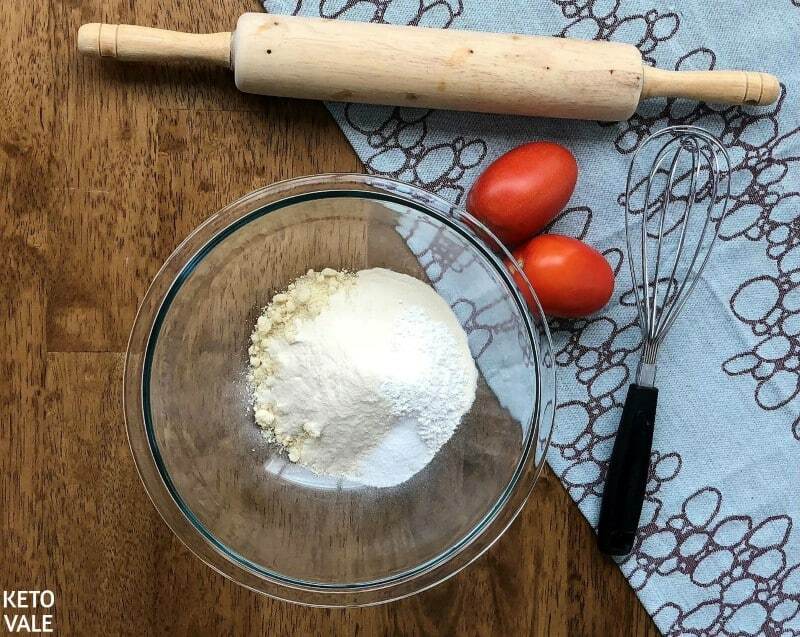 Mix all the dry ingredients (almond flour, xanthan gum, baking powder and salt) in a bowl. Add the hot water, the vinegar, and egg whites to the bowl. Mix with a hand mixer or your hands until all combined. Cool in the fridge for about 30 minutes. Spray hands with coconut oil and form dough into 4 or 6 pieces of bread. You can also make hot dog or smaller slider buns. Place on a greased baking sheet, brush it with egg yolk and sprinkle with sesame seeds. It must be baked on the lower rack of the oven for 50–60 minutes, depending on the size of your bread. Since this is a delicate bread, keep checking to make sure it is not browning too much on the outside or get burnt. You want to make sure it is cooked all the way.